Becky is an integral part of the set-up at Phantom House, she has worked here since 2004. First to arrive in the morning, she gets through an enormous amount of work before most non-racing people have got round to eating their corn flakes. Her previous employer in racing was Sir Henry Cecil, and during her time at Warren Place she was responsible for the likes of Oaks winner, Love Divine. Her current position brings with it plenty of responsibility, but Becky thrives on it and with her great sense of humour and mass of common sense she runs a very happy team. Mally is a loyal and committed member of William Jarvis’s staff. 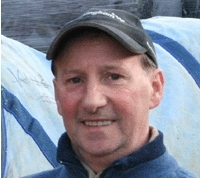 He began working at Phantom House in 1985 when William took out his training licence. Since then he has travelled hundreds of thousands of miles and welcomed back hundreds of Phantom House winners. It’s a well-known fact that travelling head grooms are just about as hard-working a band of people as you could wish to meet. Early starts and late finishes are often the name of the game: that’s why someone it’s hugely beneficial for a trainer to have someone such as Mally to call upon. Bee is just what every busy yard needs – a talented all-rounder. She’s up bright and early every day to ride out a first lot and more if the occasion requires before heading into the office to do a whole lot more than just shuffle paper and make tea. 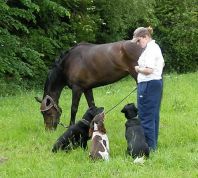 Bee liases with William before making entries, deals with calls from owners, registers horses with Weatherbys and 1001 other tasks that racing secretaries have to cope with day in and day out. 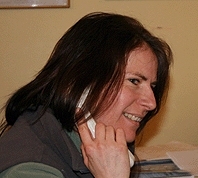 She’s been at Phantom House since 1999 and before had fulfilled a similar job at both Rae Guest’s and Willie Musson’s. The cross-over from stable groom to a dual-purpose role came while working for former top National Hunt trainer David Nicholson.